Enhance your living room with a clean and compact unit to match with your home decor. 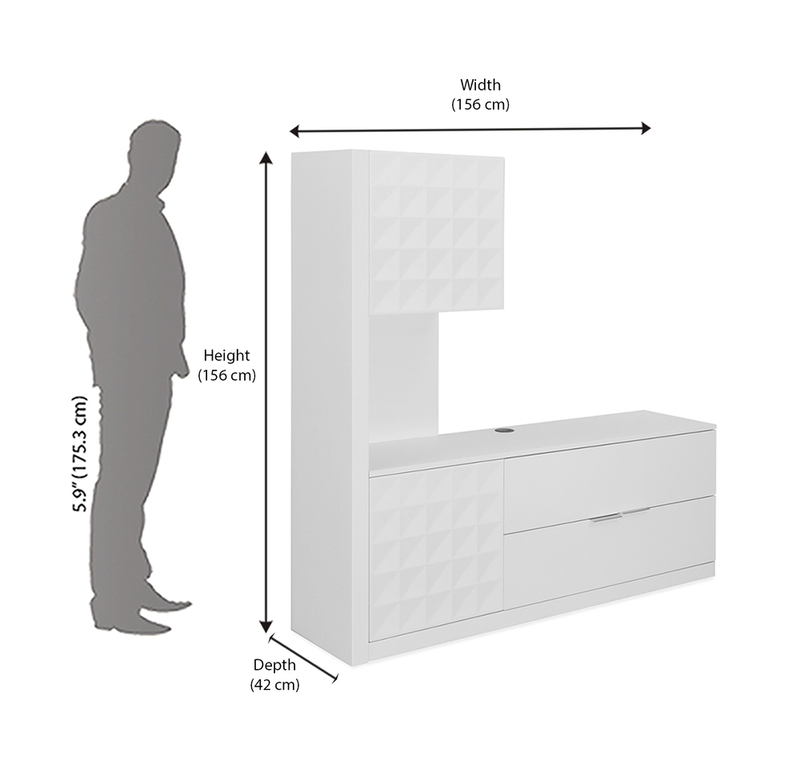 Give your TV a better space with Theia High Gloss Low Height Wall Unit - @home by Nilkamal. Revive the living room with peaceful furniture in an aesthetic shade of white. The product is skillfully designed with fine quality materials considering the storage needs as well as room beautification. This one is ideal for modern era homes as it gives you options to safely place your TV, DVD players, CDs and other related items securely in one place without any hassle. Embellish your home with such besuited and neat furniture by @home. 2 closed cabinets with open shelves provides plenty of storage options.2 Drawers on full extension proided for extra storage.